The Technology that is safe and delivers unbelievable powerful way to wellness. Make a healthcare appointment with yourself. ItÃ‚Â¡Ã‚Â¯s about taking the time to foster total well-being - nurturing your mind, body, and spirit. Be proactive about YOUR health! Become active participant in your own care to improve your health outcomes. Our mission is to help people to learn more about vibrational medicine and to understand that health ultimately doesnÃ‚Â¡Ã‚Â¯t depend on vibrational medicine or the physician/healer/priest, but on the people learning to live in whole, harmonic, and loving way in every aspect of their lives. As we learn to live whole lives in which there is a balance of love and harmony with all levels of self, creative work, family, society, and the ecology of the planet, there will be rebalancing, healing, and regeneration of ourselves. Our attempt is to go to a deeper level and understand why our thoughts and emotions affect our physiology, and also to comprehend how therapies as simple as herbs, flowers, and water can be such powerful helpers. Ã‚Â¡Ã‚Â°May we all know health, love, and harmony on every level of our being.Ã‚Â¡Ã‚Â± Gabriel Cousens, M.D. 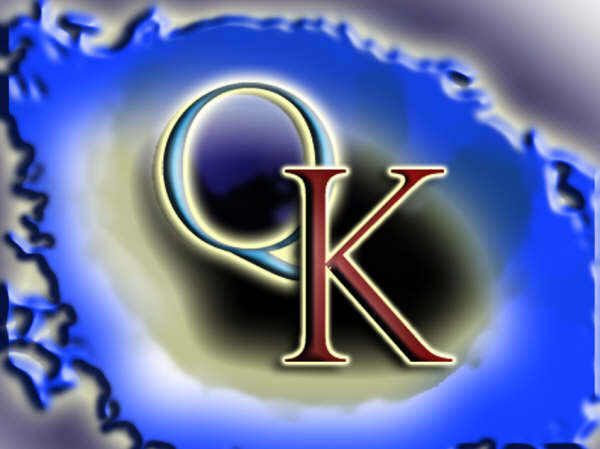 Quantum is spelled with "K" for Knowledge.